Epica were formed by in the Netherlands by guitarist/vocalist Mark Jansen following his departure from After Forever. Originally named Sahara Dust, they renamed themselves after Kamelot’s Epica album and signed their first record deal with Transmission Records in 2002. Two albums and a Dutch movie soundtrack later, they had established themselves as one of the biggest names new in symphonic metal. After signing with Nuclear Blast, they released a further three studio albums to much critical and fan acclaim, as well as a live/classical album accompanied by a full orchestra. In 2013 they celebrated their 10th anniversary with the massive Retrospect event, later released on DVD and Blu-ray. It would be fair to say that The Quantum Enigma is one of the most anticipated metal releases of 2014, and from the outset it’s clear that it won’t disappoint. The band kicks off in their usual style with an orchestral/choral intro, and straight away you can hear that the production quality and mixing has greatly improved since the last album. The Second Stone is the first full track, a good start with a chorus that will stick in your head, and here we get a taste of Simone Simons’ new vocal style that has been forming for the past few albums. Fans of the old Epica may find this jarring, but it is clear she has improved. Mark’s harsh vocals are also a little more prominent these days, and those who are fans of his heavier side project MaYaN will definitely find something to like here. The guitars are more prominent than ever. The Essence Of Silence was the first single from the album – a good attention-grabbing choice as it showcases the full power of Simone’s voice. The haunting strings at the beginning are almost misdirection as the guitars and Mark’s vocals soon crash in, before sweeping into more melodic territory. Victims of Contingency continues in this vein, and one of the main lyrical themes of the album becomes apparent here – learning about yourself and the world, recognising problems and improving things. Sense Without Sanity follows, a slower track which feels a lot like a mash-up of modern Epica with The Phantom Agony-era Epica, particularly in the chorus and with the low strings that permeate the track. Unchain Utopia is the second single and also feels a bit like a callback to old times, with the majority of the song performed by the choir. We then get a break in the form of The Fifth Guardian (Interlude), a beautiful oriental-inspired piece of music that is strongly reminiscent of Wintersun’s Time I album. This segues into Chemical Insomnia, a hard and fast track with an excellent opening guitar riff. This song is surely one of the strongest, showing how Epica can seamlessly blend very heavy music with soaring melodic vocals. It is so epic that it makes the next track, Reverence, look a little dull in comparison, though that too is certainly not a bad song, another following self-improvement theme. Omen stands out for its melancholy opening piano, a lovely refrain that repeats later in that song for a very heavy moment under Mark’s vocals. The chorus is very upbeat and positive and seems a little out of place with the rest, but the overall impression is of light winning out over darkness. Next is 'Canvas Of Life', a song written by Simone and dedicated to her aunt who passed away. This is a truly heart-wrenching ballad, with the unforgettable combination of Coen’s piano and Isaac’s acoustic Spanish-style guitar really adding to the beauty of it all. Then there’s Natural Corruption, a great track which shows many sides of the band in one go – fast and slow sections, different vocals from Simone, and variations in instruments. The keyboard underneath this track sounds a little like old Tristania – it’s nice to hear Epica blending these old and new styles so much. The final track is the nearly 12 minute long The Quantum Enigma, billed as part 2 of the band's Kingdom Of Heaven song series. Unlike its predecessor, it’s actually quite a slow burning track, more akin to something like The Divine Conspiracy. This might be a disappointment to those expecting such a dramatic epic as the former, but it’s still a good closer to the album, exploring the philosophies of science and discovery and the Schrodinger-esque theory that we create reality by observing it. Lyrically, this album certainly knows what it wants to say, but it feels at times a little like being beaten round the head with a self-help manual and a quantum physics textbook. Some fans will find this hard to swallow, preferring instead the more poetic lyrics that are more open to interpretation, while others will revel in it. Musically it’s one of the most progressive and original symphonic metal offerings you’re likely to find – though again to some this might come across as disjointed. 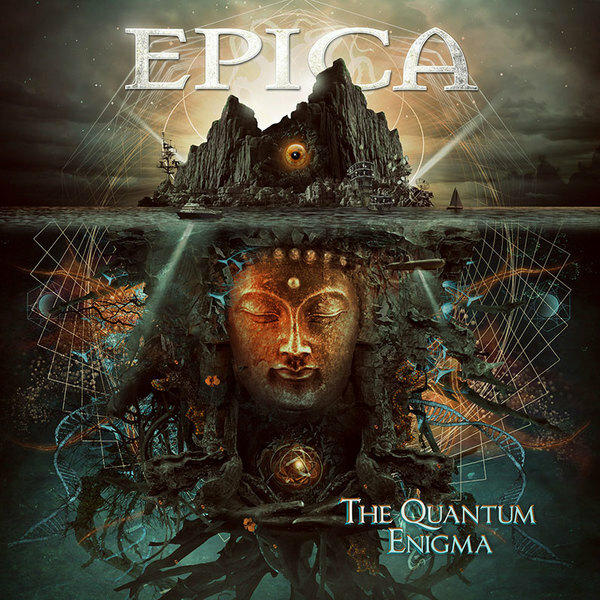 Whichever camp you sit in, there’s no doubt that The Quantum Enigma is of top quality, and will certainly be high up (if not first) on many people’s lists of the best albums of the year. The sticker on its cover proudly boasts: “symphonic metal doesn’t get any better than this” – well, let’s hope it does, because then we’re really in for a treat.